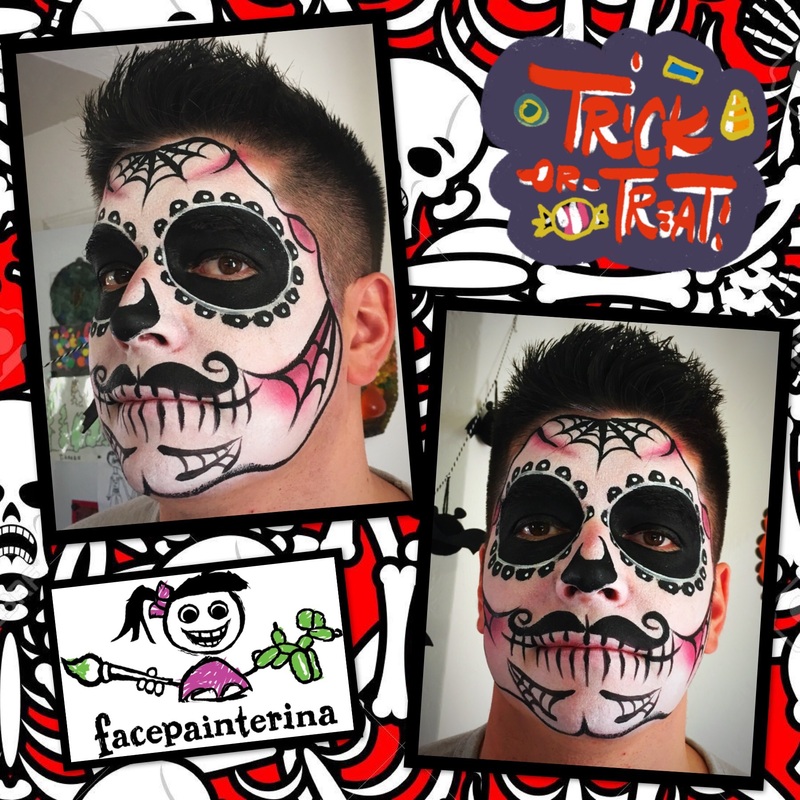 Facepainterina provides Professional Face Painting and Balloon Twisting for birthdays, baby showers, weddings, corporate/work events, school festivals, church events, Halloween, Day of the Dead, private appointments, and many other awesome occasions. 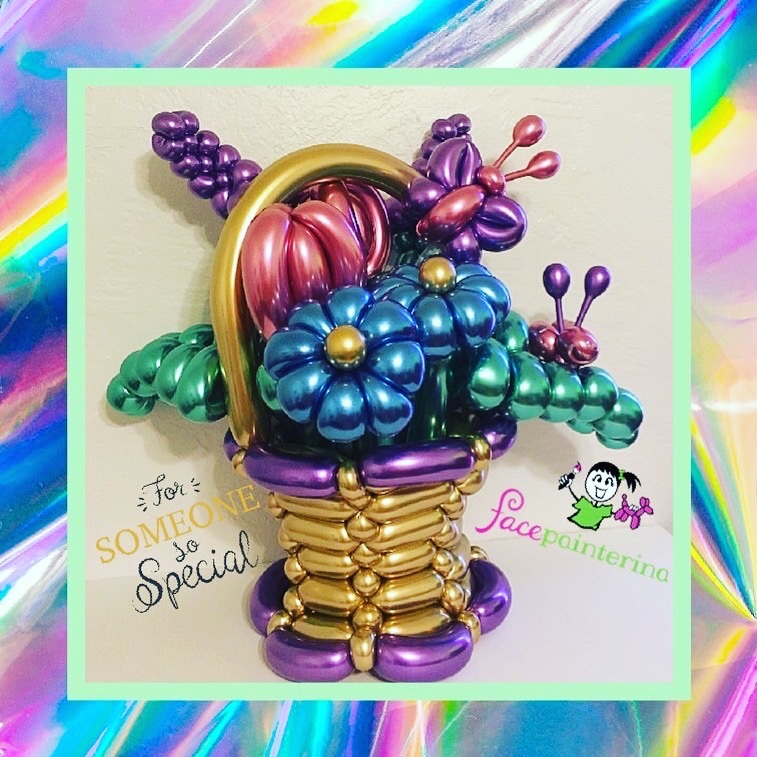 We create custom balloon bouquets, gifts, centerpieces, decorations, and party favors for all occasions. Get your balloon gifts delivered for that extra wow factor! 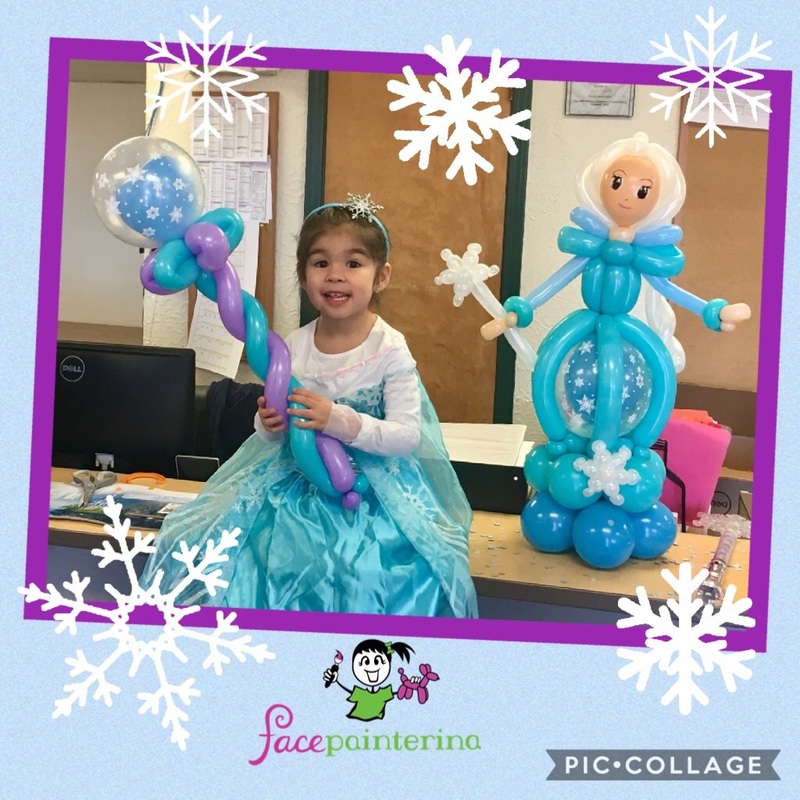 Facepainterina is owned and operated by professionally trained face painter and balloon twister, Jolianna Schultz. She has a strong background in art, customer service, and the childcare industry. 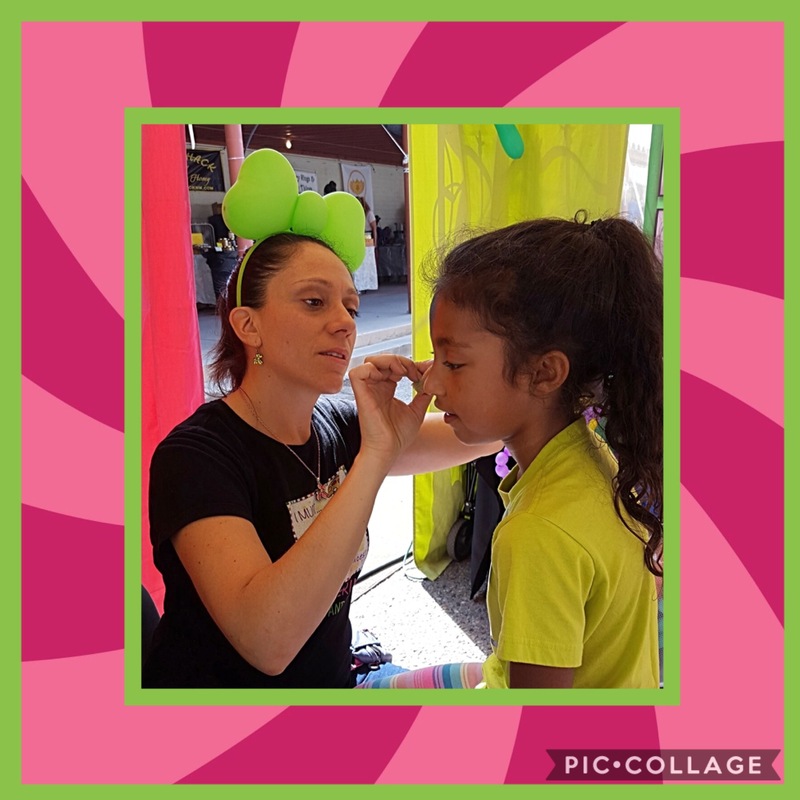 Jolianna attended a Face Painting and Balloon Convention in St. Louis, MO in 2016 and Kidvention West in 2017 and 2018. 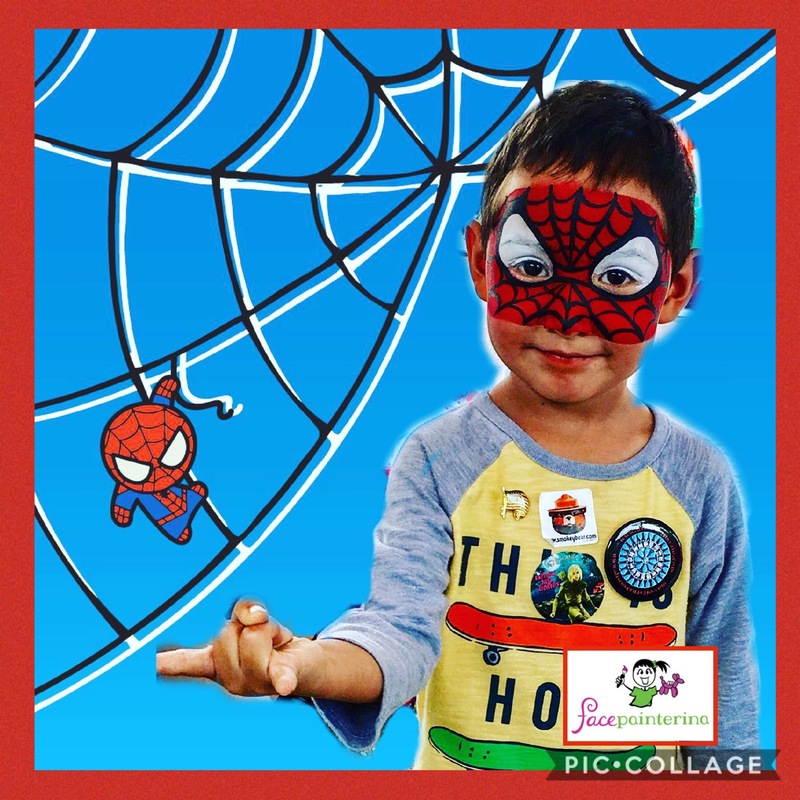 Jolianna learned the latest face painting and balloon twisting designs and techniques from some of the best artists and children’s entertainers in the world. 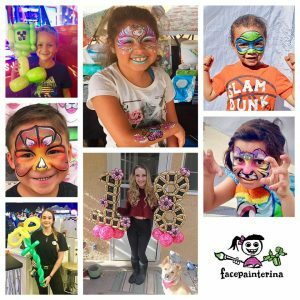 After 9 years in the business, Facepainterina is proud to offer the best face painting and balloon twisting experience in Albuquerque! Facepainterina services Albuquerque, Santa Fe, Rio Rancho, Corrales, Bernalillo, Tijeras, Cedar Crest, Los Lunas, Belen, Edgewood, and many other surrounding areas in New Mexico. 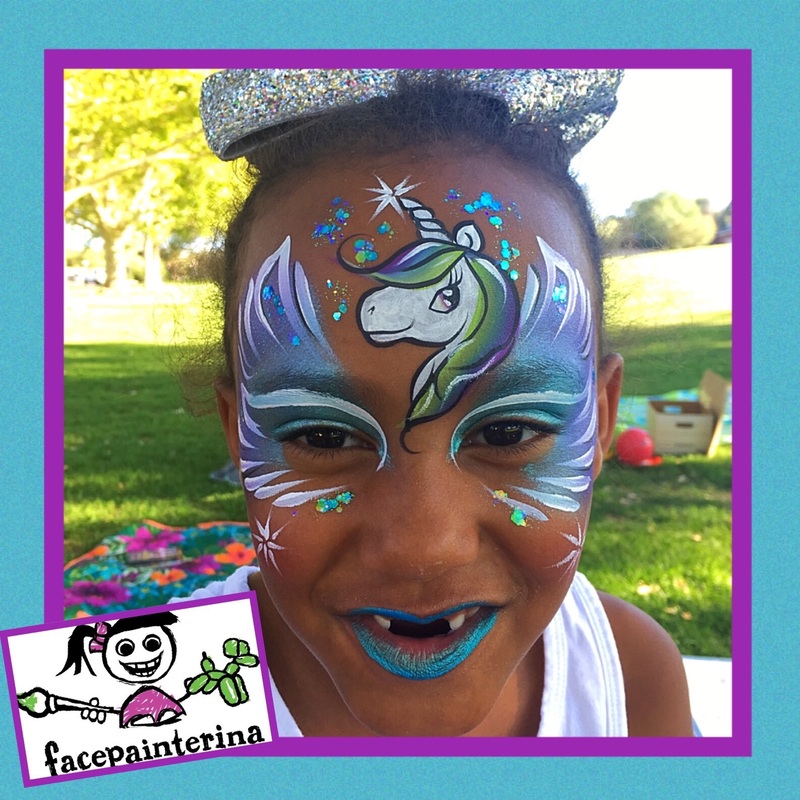 From speed painting to detailed face painting, Facepainterina has all of your painting needs colorfully covered! 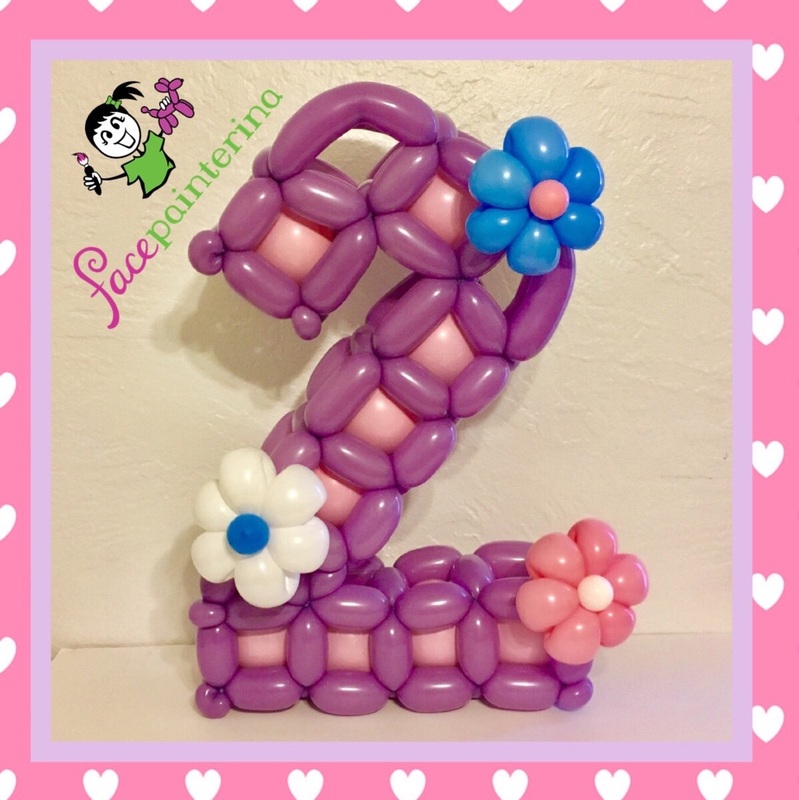 Make your next event or gift POP with custom balloon art! Ask about our balloon deliveries! Check out our Sugar Skulls, Balloon Bouquet/Gift Menu, and more! Check out these upcoming events with Facepainterina! Make your party memorable with Facepainterina! Save 10% off any regular priced party package during March 2019! Face painting and balloon twisting are great entertainment for all ages for all occasions! Hourly minimums and taxes may apply. Cannot be combined with any other discounts. For all bookings, a set date, time, and 50% deposit is required.